Courtney Hansen is a household name in the car hobby because she has been involved in some of TV’s biggest automotive shows. 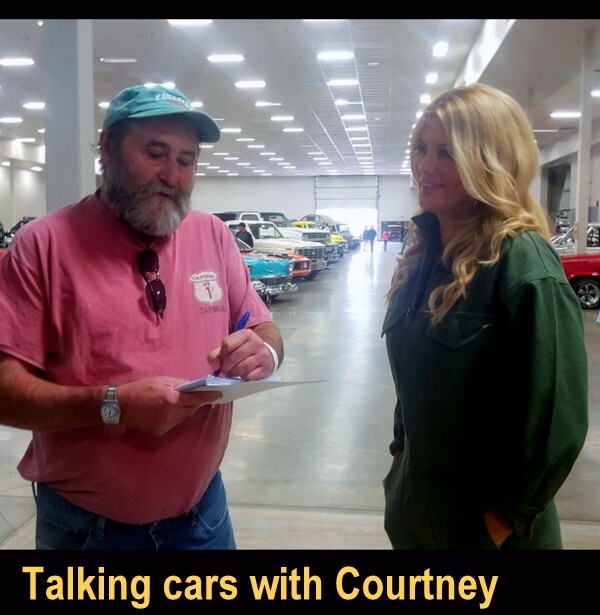 Courtney is also a syndicated automotive writer, as well as an author who wrote a book (The Garage Girl’s Guide To Everything You Need To Know About Your Car) that chronicles basic car care for women-along with men who have not spent their spare time in the automotive hobby. Courtney has also been a cover model who has been photographed for a variety of major publications that range from automotive to fitness magazines. She is very comfortable with people from the car hobby because Courtney grew up in a gearhead family. Her father Jerry Hansen won 27 SCCA championships over the years and drove everything from open wheel to muscled-up sports cars on the road to automotive success. Courtney’s family purchased the famous Brainerd International Raceway in 1973 and she became a self-described “pit kid” during her early years because of her strong automotive roots. In her words she “grew up as a car girl in northern Minnesota”. Courtney moved in a different direction when she attended Florida State University and obtained her marketing degree for a corporate job. She eventually moved in front of the camera for her modeling career, but eventually the road in her life led Courtney back to the automotive field when she became a part of TV’s biggest car hobby shows. The list included ‘Overhaulin’ with legendary builder Chip Foose. This show involved a vehicle makeover done in a very short time span and Courtney was able to put her experience as a car girl to good use on the show because she was actively involved in the project as a member of the Foose build team. Eventually her TV career landed Courtney a job as host of PowerNation; a bloc of car hobby shows that were featured on several networks over the years. It’s clear that Courtney loves the car hobby and feels most comfortable in that world. 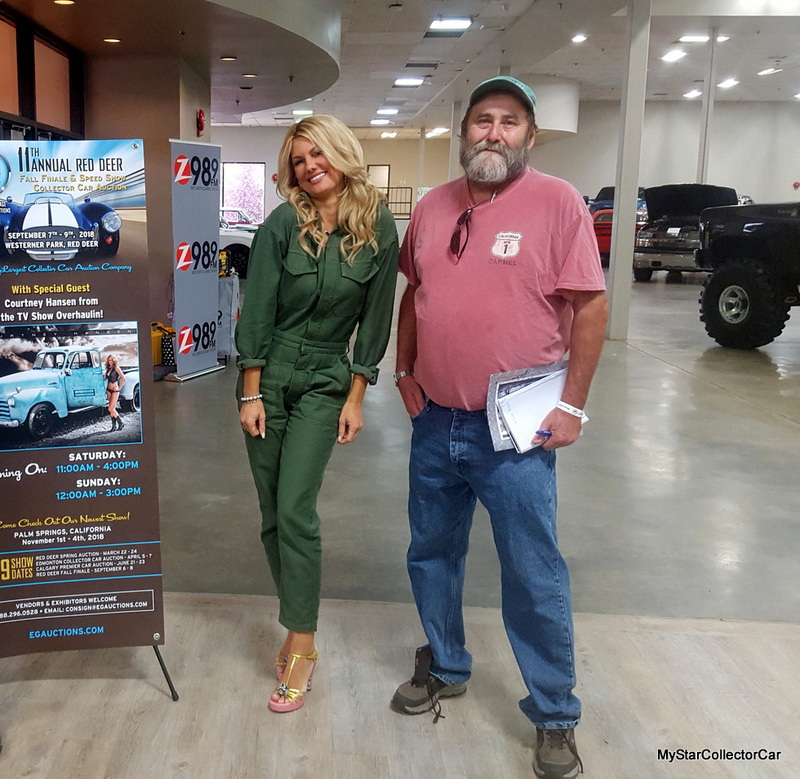 MyStarCollectorCar was able to meet her at an EG (Electric Garage) vintage vehicle auction in Red Deer, Alberta, Canada where Courtney was excited to be at an event that was strongly associated with the Canadian car hobby. 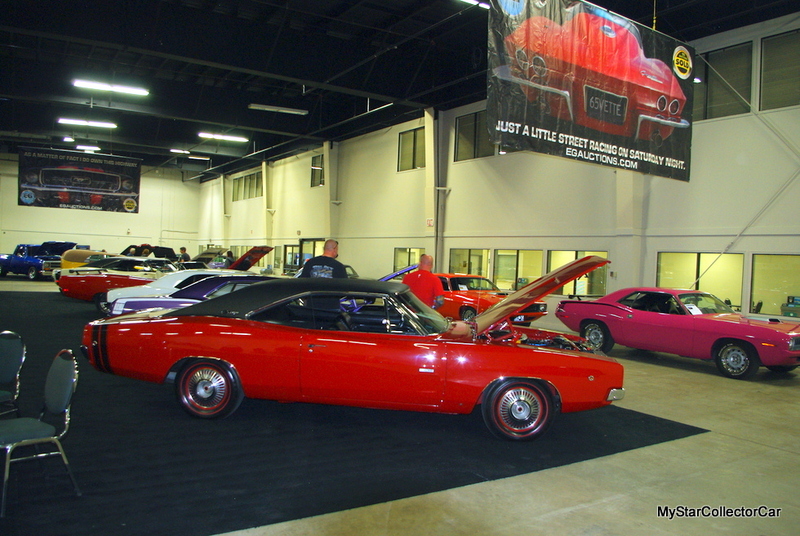 She had already surveyed the lineup and noted an original Hemi-powered 1968 Dodge Charger RT that was also a star at the show as the top seller of the auction. Courtney has a personal inventory of vintage rides that range from a 1957 Thunderbird to a muscled –up 1970 Ford Mustang, along with a few others in her collection. However, Courtney mentioned that she wants to eventually “add a vintage Mopar” to her stable of cool rides from the past. The immediate future for Courtney includes a brand new TV show entitled ‘The Ride That Got Away’ for History Channel. The show will debut this fall and will involve owner’s remorse about the vehicles from their past that slipped away from them for a variety of reasons. Courtney will team with hot rod builder Troy Ladd (and a number of guest stars) to provide a way for the car guy or girl to step back in time to recover their fond memories with a vehicle that is either the original one-or a well-restored copy of the original vehicle. The important part of the equation is to restore the owners’ memories about that time in their lives via a vintage ride. Courtney mentioned the show will provide many emotional moments during its run. She completely understands the concept because the car hobby runs very deep in her veins due to her family links. Courtney will be a great fit with the new show because she is a car girl at heart.